A. Washington State, allows 15 plants. B. California and Oregon, allows six plants. C. Colorado, allows up to 99 plants for "medical" users. Recreational users can group personal allocations of six plants into massive co-ops, with large greenhouses of pot that are not tracked or taxed. They'll choose "C" for Colorado every time. It's almost anything goes. Here, the black market can establish large-scale, unlicensed pot grows and meld with all the "medical" users and recreational coops. Law enforcement won't have adequate time or resources to separate law-abiding operations from criminals exporting product to other states. This is not theory. For a routine local example, consider this excerpt from a March 4 Gazette story by reporter Kaitlin Durbin. "A compliance check at an alleged residential marijuana grow in El Paso County this week went like most others, according to some of the law enforcement agents who routinely carry them out. 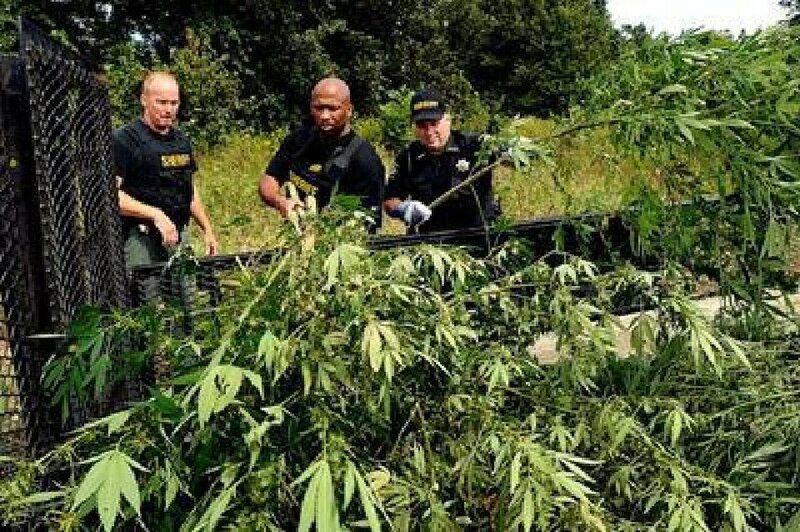 "The occupants were Cuban, they were growing under the premise of a medically extended plant count of 99, they had ties to another suspected illegal grow in the county, and they were over their limit. And yet no one was arrested. "It's right next door; it's everywhere, and most of it is illegal," El Paso County Sheriff's Sgt. Emory 'Ray' Gerhart said of marijuana grows sweeping the county as groups of people move here to take advantage of legalization. Because of our laws, officers had no good options for serious charges. "A lot of these people we encounter were kicked out of the northern part of the state, so they're just going to keep looking for a place they can either do it legally or illegally in rural counties where enforcement can't keep up," Gerhart told The Gazette. "They're just going to kick the rock down the road." Federal authorities raided a home grow in Pueblo and seized more than $7 million worth of marijuana. Evidence of large-scale black market operations, throughout Colorado, is mounting and irrefutable. Residential grows all over Colorado Springs and the rest of the state use so much electricity they are blowing electric meters and transformers, sometimes causing fires. Neighborhoods are complaining of marijuana odors and increased crime. Landlords routinely find altered electrical systems and interior mold in abandoned home-grow operations. House Bill 1220 would aid law enforcement in detecting black market operations and might eliminate Colorado's dubious distinction as the best place in North America to produce pot for widespread distribution. It would limit grows on residential property to 12 plants, with an exception for medical marijuana patients or primary caregivers in compliance with local laws that allow exceptions. House Bill 1221 would establish an annual $6 million grant program to reimburse local governments for training, education and enforcement related to black market grows. These bills may not go far enough, and the $6 million in HB 1221 does not approach what local authorities need. But the two bills are a good start in what should be an urgent effort to stop the unseemly and dangerous proliferation of black market pot. Colorado voters intended legal pot for personal use. They did not vote to make our state the Land of Oz for high-volume, black market drug dealers. The legislature should quickly strengthen and pass these bills, and the governor should sign them into law.